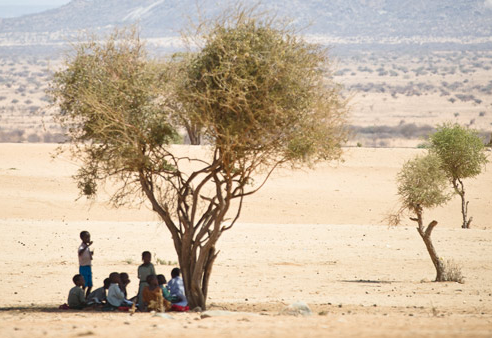 BOMA is one of the few organizations operating in one of the poorest places on the planet—the true “last-mile” of economic and social isolation, lacking in resources, jobs, access to financial institutions, healthcare and services: the drylands of Africa. Also called the Arid and Semi-Arid Lands (ASALs), it’s a distinct geographic swath that covers 40% of the continent. Against a backdrop of failed aid efforts and few-to-no peers working in its target geographic regions, BOMA is proving that we can transform lives in rural Africa and forge a pathway out of poverty for millions. Women and girls disproportionately experience the cascading consequences of extreme poverty. Meanwhile, numerous studies indicate that economically empowering women is the most effective way to break the cycle of persistent poverty and build resilient households. Why? Because women are more likely to make decisions that improve the lives of their families—from educating their children (including their daughters) to investing in food security and medical care. That’s why BOMA places ultra-poor women at the heart of our work by helping them build a pathway out of extreme poverty. Instead of establishing an expensive and complicated loan program, we invest in training and mentoring support systems that will help the businesses succeed. Grants are an inexpensive way to help small enterprises acquire the start-up capital they need while avoiding the risks that can accompany microloans. With a grants-based program, we can get a business up and running, earning income and savings, in two months. One of our founding principles is that locals must lead our programs. 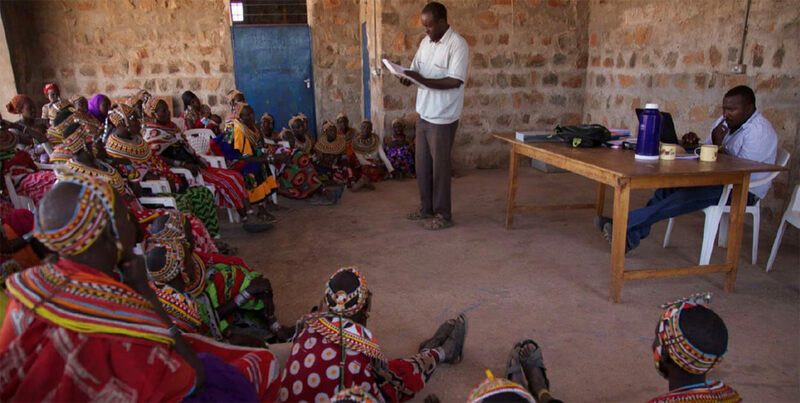 BOMA trains and supports Village Mentors—local residents who live in the villages in which we work. Mentors work closely with the REAP businesses in their community for two years and with savings groups for one year. 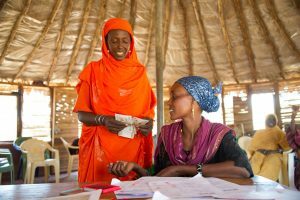 REAP participants are also accountable to each other—not to a distant aid organization or financial institution—for the success of their business. 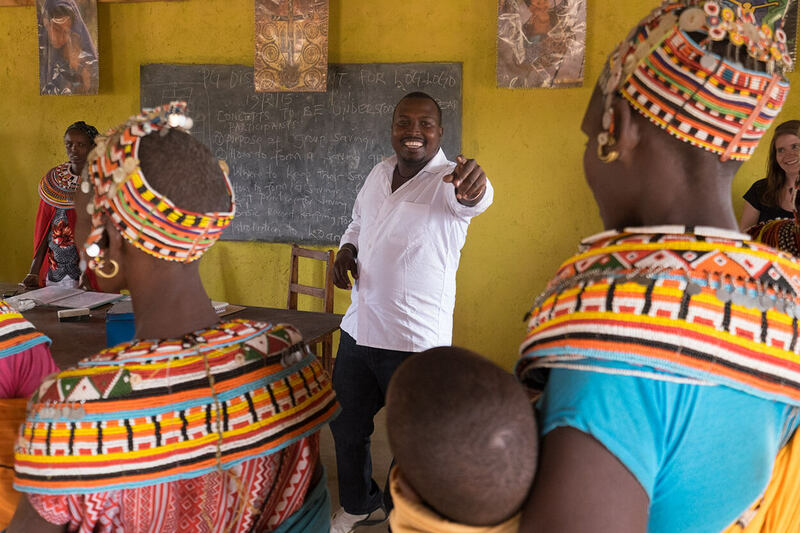 BOMA Village Mentors deliver a diverse set of training programs to REAP participants, including marketing, record-keeping, group dynamics, and savings. REAP is intended for the poorest of the poor—typically women with little or no education or previous business experience. 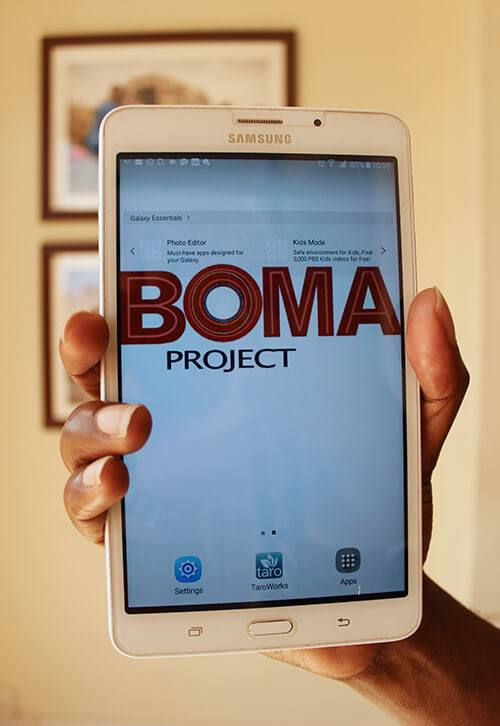 BOMA collects baseline data on each participant, including nutrition, household assets, and spending on education and medical care. We compare that standard of living data at program exit (two years). The Mentors also collect data on each business and savings group and provide regular progress reports. Read our impact assessments here. At BOMA, we’re obsessed with data. Why is data so important? Because it brings our participants’ lives into focus. Every month, we learn more about the women in our program. How are they succeeding? What are their challenges? How have their lives changed in ways we can measure and explore? This information allows us to focus on what really works, and to invest our resources in activities that drive impact—a goal that will only be more important as we prepare to scale our program across the drylands of Africa in the years to come. 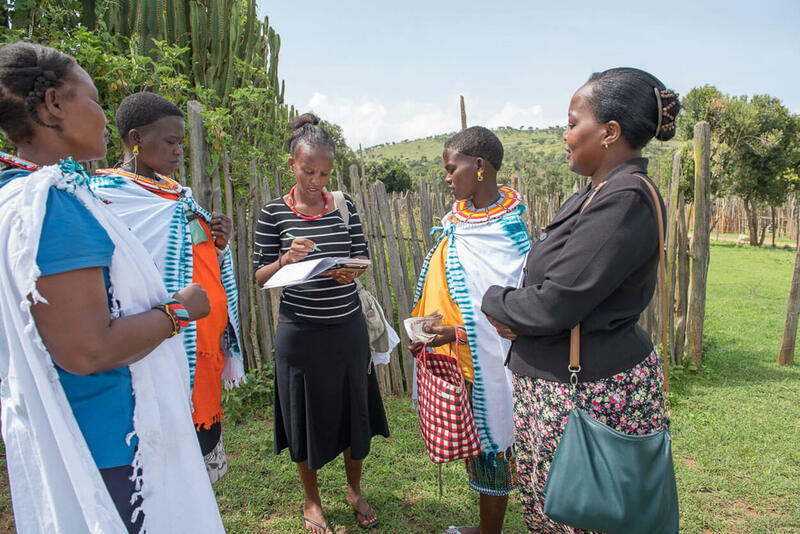 BOMA’s work is distinguished by an ongoing commitment to rigorous monitoring and evaluation to track our outcomes, continually improve our program, and prove its effectiveness as a sustainable, scalable poverty graduation model for ultra-poor women across the African drylands. BOMA’s M&E team works closely with the leadership and program teams to guide all programmatic efforts. We employ a mixed-method approach, using qualitative and quantitative data to examine processes and outcomes at multiple levels (business, household and individual). BOMA awarded a grant from Salesforce.org, Salesforce’s nonprofit social enterprise. The grant enabled us, in partnership with Vera Solutions, to develop a powerful new digital platform, Performance Insights. This customized, cloud-based data management and visualization platform allows us to track the real-time performance of participants, businesses and savings groups, resulting in data-driven decision making and effective monitoring and support for our remote field staff. Click here to see Performance Insights in action.